Whether you use your garden to grow prize-winning flowers or simply as a place to grab five minutes of peace, chances are it’s a place that brings you lots of happiness. But what you might not have realised is that your garden also holds a lot of hidden monetary value – the average garden can contain up to £5,000 worth of stuff. Consider yours for a moment. Do you have some nice patio furniture, or useful gardening tools? What about a fancy BBQ? Not only would you want these protected against damage or loss, you’d also want to be covered in case they were stolen. One in seven UK households is the victim of garden theft every year, so make sure your garden has the appropriate level of cover. Is my garden covered by my home insurance policy? Because a garden is counted as a permanent feature of a home, most people with standard home insurance should have some cover for their garden already. Buildings insurance generally covers things like fencing, walls, gates, patios and sheds. It should also cover you if you have a conservatory. Contents insurance is there to protect the items that can be moved, from plant pots to garden gnomes, but your insurer may only pay out so much. Make sure you add your home's contents up and get the right cover for your needs - find out how with your guide to contents insurance. Admiral Home Insurance does not offer cover for garden contents, but our Gold and Platinum tiers offer garden cover of up to £1,000 and £5,000. What should I check is included in my garden insurance? 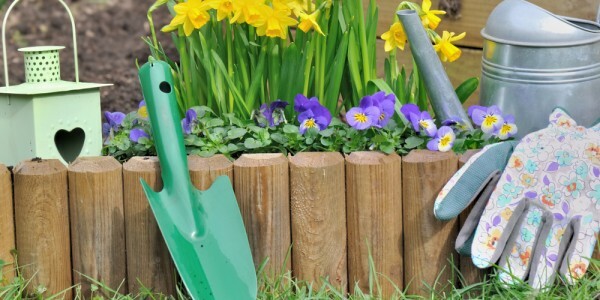 It’s a good idea to think about the items in your garden you’d want covered in case of theft. Gardens, sheds and outbuildings are very popular with thieves because they are often far easier to access than a house, so take the time to add all the contents up. Admiral claims data shows that the average cost of theft from a garden is £1,593, with bikes, lawnmowers and garden equipment amongst the items most likely to be stolen. A lot of insurance providers will limit how much you can claim for the contents of your garden on a standard policy – it may be as little as £250 – and may also want you to keep it all in the shed, so make sure this is covered, too. Admiral Home Insurance doesn’t cover theft from your shed, but our Gold and Platinum policies offer £1,000 and £2,500 of cover respectively. What isn’t included in garden insurance? There may be gaps in some home insurance policies which are worth looking into before you buy. The effects of weather damage on your garden, for example, may not be covered in the same way as they are with your home. Particular items in your garden might be excluded, such as special plants and exotic flowers. If you’re particularly green-fingered and spend a lot of money on making your borders beautiful, this is worth taking into consideration. Ask each individual insurer about what they’re prepared to cover – you may have to take out more specialist insurance as many insurers may not provide cover for high-value items outside the home. Admiral’s data reveals that theft from outside of the home – including sheds, outbuildings, garages and gardens – accounted for 22% of all theft claims in 2016 and 2017. Noel Summerfield, Head of Home Insurance at Admiral, says: Unfortunately, gardens, sheds and outbuildings are popular with thieves because they tend to be easier to access than a house, whether the owners are at home or not. “Many people don’t realise their garden sheds and garages hold items with a lot of value and for that reason often don’t consider whether they are covered with their insurance. Tools, lawnmowers and garden equipment are the obvious items to be targeted by thieves, but the value of garden furniture, BBQs and sporting equipment all adds up. “As summer approaches, it’s a good time to take stock of what you have in your garden and storage space outside of the home, especially if you’re considering investing in new furniture, outdoor toys or sports equipment. As well as being clear on what is covered by your insurance policy, taking care to protect your garden and outbuildings is equally important. Seasonal changes - Summer furniture isn’t built to withstand a bleak winter, so make sure it’s kept in a safe, dry place. If your shed is where you keep the majority of your stuff, make sure it’s secure with a good-quality lock. If your insurer covers theft from a shed, they'll only pay out in the event of theft if you can prove that it’s locked at all times, and that there was evidence of forced entry.